It’s the holiday season again and for us here at From The Corner Table, it’s a special holiday season; its been a whole year of this wonderful journey of blogging and sharing my experiences and trysts with all of you. And to celebrate it, I just felt like giving out something more than just my words. 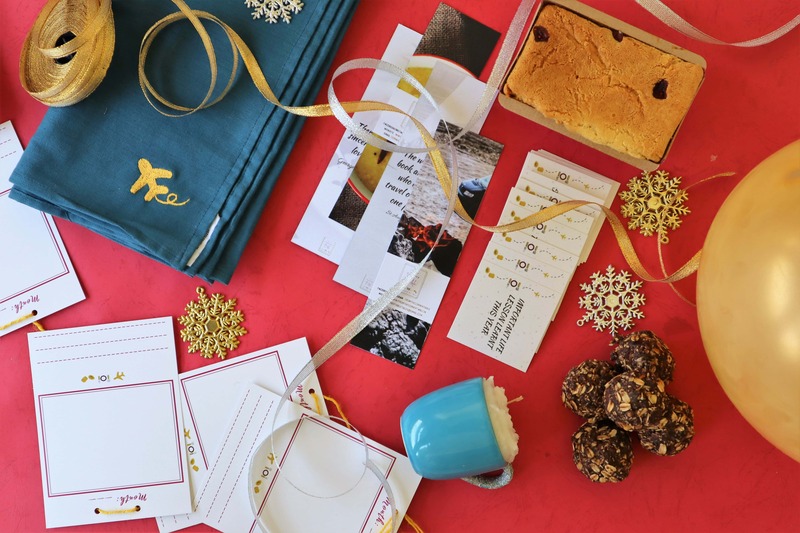 So, we put together gift hampers for a few of my friends and followers in my hometown, Ahmedabad, that will encapsulate all that this blog is about – Travel, Tuck In and Talk! Now if you are in Ahmedabad, check out my Facebook page and Instagram handle for more details and to be part of the giveaway. And for those of you who are not in Ahmedabad, I’m sending out e-copies of the travel memory string, bookmarks and party game sets. All you have to do is download, print and enjoy! Here’s hoping you all have a lovely lovely holiday season. I shall meanwhile log off to pack some of them hampers!